Society talks a lot about heart. Often times Christians talk about the heart of God. So, what should we do? Should we follow a deceitful heart? How do we know the heart of God? If 'heart' is squishy we need to look at some facts. Where do we find the facts of God? The Bible! Alrighty, there's a bunch of stuff in the Bible. 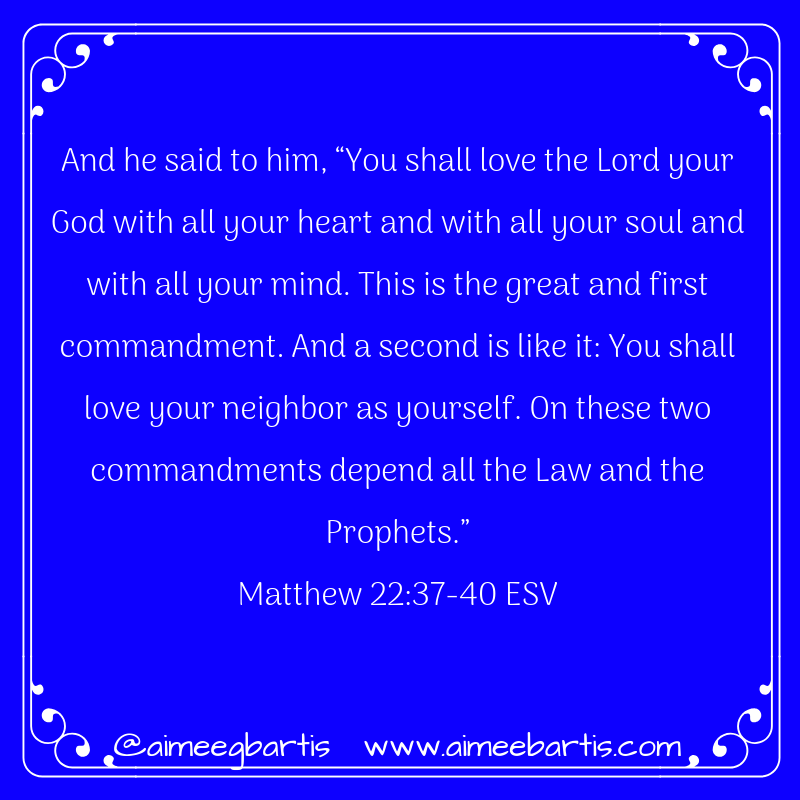 In the Old Testament especially, there are a bunch of rules to follow. A bunch of rules that God told His people to follow. I'm a rules follower but I can't even keep up with all that. But we know that some people worked hard to bring those rules into the New Testament. They're called the pharisees. I think I might have been a good pharisee since I'm so fond of rules. In Matthew 22 Jesus is talking to the Sadducees about the resurrection and shuts them down. 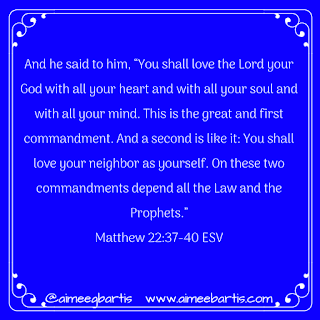 Then the Pharisees come around and try to trip Jesus up by asking Him about the greatest command of the Law. Jesus' answer is my foundation. It's my theology. To me, it's the heart of God. If I can do these two things, I'm good.